It came about as a supper club, named Mama Lan after owner Ning Ma’s mother, who taught her to cook her grandad’s authentic Beijing recipes. She was so successful she acquired a permanent site in the market and here we are! We stopped in late-ish on a Wednesday and had to wait for a table, finally squeezing in next to a very loud guy having a shouty conversation with his poor date. I gave her a few sympathetic glances but she didn’t seem to notice. 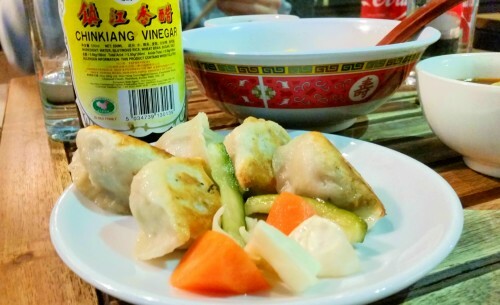 We ordered soft drinks along with prawn and water chestnut dumplings and some pork dumplings. The menu is tiny (it would need to be given the size of the kitchen) and the premise is fresh, local food, some of it’s from elsewhere in the market, which I love. We also got some beef noodle soup to share, which is pure love and comfort in a bowl. 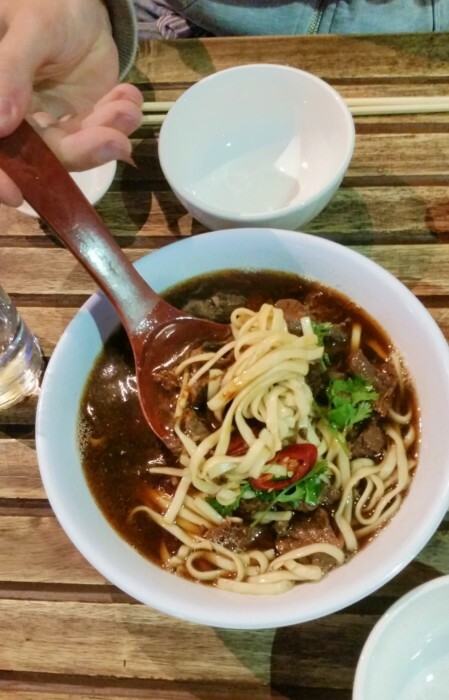 The broth is dark, rich and meaty, with plenty of spice from the chillies and big chunks of tender beef. It’s a tough cut that’s been cooked for hours, it falls apart in your mouth and is so bloody beefy. God it’s delicious. Soft egg noodles make it a simple and perfect meal in a bowl. 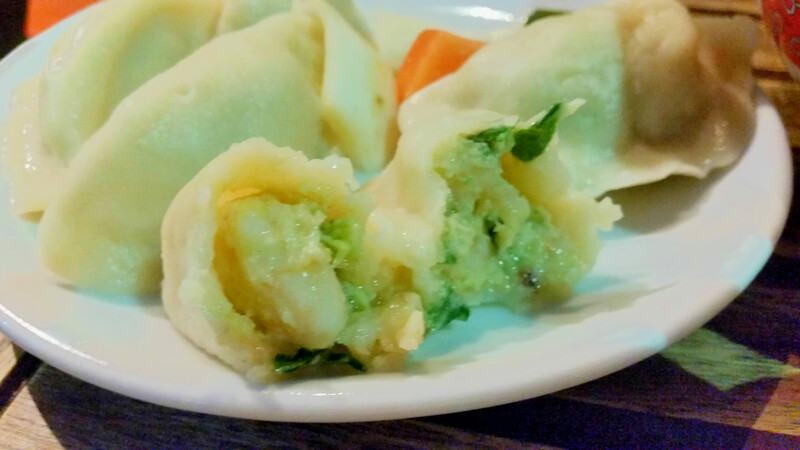 Dumplings are good too, they taste fresh and aren’t stodgy or sticky. Again, simple and lovely, and normally between £20 and £30 for two, for maybe a few dishes and dependent drinks obviously. Definitely one of my favourites in Brixton Village. 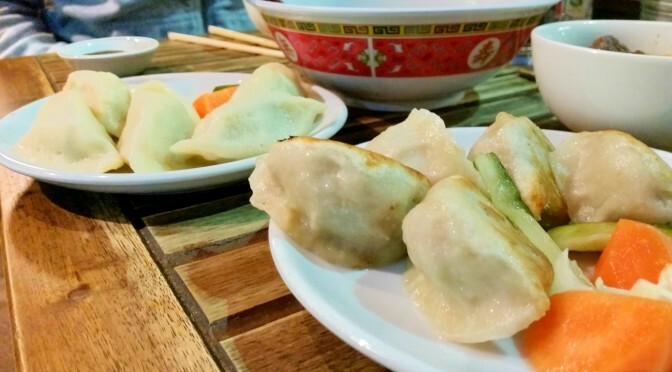 Ning Ma recently opened a second branch in Clapham, testament to her success and popularity, and hopefully she’ll continue to expand. 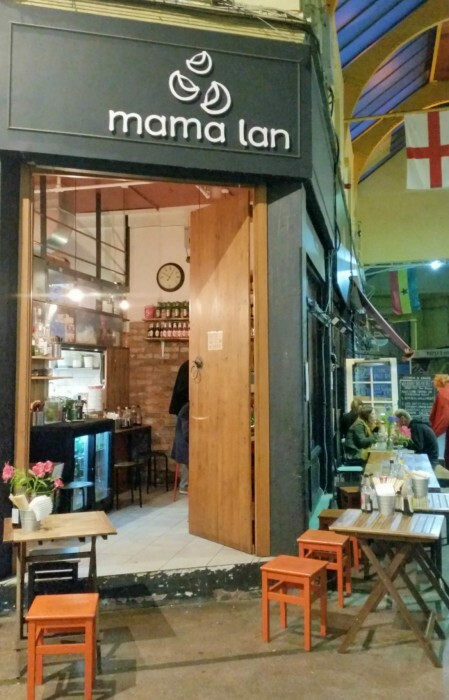 With all the drama in Brixton at the moment, with shopowners being forced out, I hope Mama Lan survives.